The Caramel Jar is an Etsy store featuring mouth watering, homemade caramels. They are made of the finest ingredients, and is a "GREEN" Company. Her individual caramels are wrapped in natural unbleached parchament paper and then packaged in Eco-friendly, reusable and recyclable classic mason jars OR eco-friendly unbleached wax paper. These delectable caramels would be perfect for anniversaries, birthdays, holidays, or anytime you need a delicious treat. When I received my sample product for review, I couldn't wait to try one! Let me tell you, these are the most delicious, flavorful caramels I have ever had. They are so soft and chewy, and bursting with flavor. You definitely cannot have just one! I would highly recommend ordering from her the next time you need a special treat. No candy you can buy at the store beats the taste and quality of these caramels. then come back here and comment with something you learned or liked. 48 hours to reply, or a new winner will be drawn. I received a sample for review purposes only. All opinions and thoughts are mine, and I received no other compensation. i forgot to say that i like that they make organic ones oops! 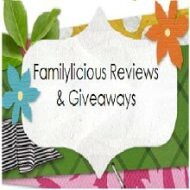 i've entered the abbe designs reveiw and giveaway! One thing I learned from the Carmel Jar ETSY that they have 100%ORGANIC versions of their caramels and are an additional $5-$10 depending on quantity of order (not available for samplers). Thank you for entering me in your giveaway! I "LIKED" The Caramel Jar on Facebook!! I am subscribed to your blog!! Thank you for entering me in this giveaway!!! Thank so much for entering me here! I am also entered in your Corioliss Flat Iron Review & Giveaway!!! Thank you for entering me in this one as well! 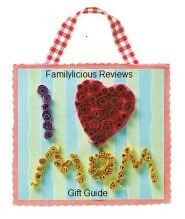 I am also entered in the Abbe Designs Monogrammed Lunch Tote Giveaway! 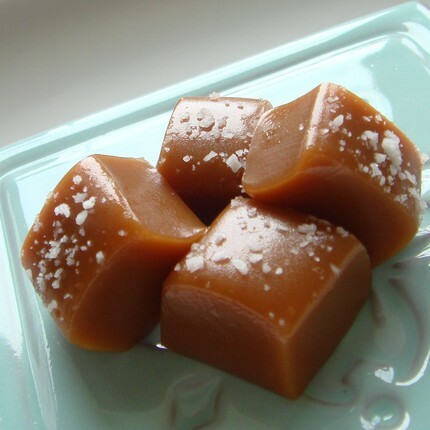 All caramels are slow cooked in small batches to create the rich and creamy caramel color. YUMMY!! I need to order some cashew vanilla carmels, and win these too :) New follower from the hop! Thanks! I follow Carmel Jar on Twitter! I am now a Facebook friend. And I like Carmel Pot on Face Book! You can get the candies in an 100% organic form! I like the Vanilla caramels! I am all about the organic goods!! I am a follower. I like the looks of the cashew vanilla caramel....yummy! I learned that the caramels are hand made in small batches, and organic. I also would love to try the Cashew Vanilla Caramels! I learned they have 100% organic caramels! I follow and I'd like to try the Vanilla Caramels Sampler. I follow on GFC. (mamie316) And I'd love to try the vanilla caramels. I'm a caramel junkie! 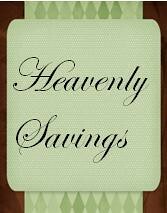 I follow on gfc and like the Cashew Vanilla Caramels. I follow your blog. 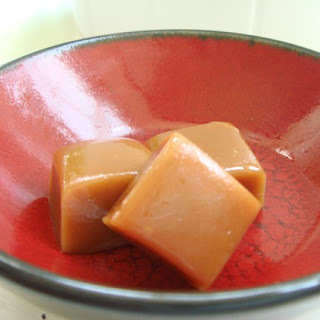 I learned that All caramels are slow cooked in small batches to create the rich and creamy caramel color. I like that there is an organic option also! I learned that there are caramel clubs, where you can have treats delivered for 6 or 12 months. Yum!!! so i got some of her caramels in the mail today...omgd are they incredible!! Cashew vanilla caramel sounds great. I'm a new follower, and I like that they offer organic candy. 100% ORGANIC versions of our caramels are an additional $5-$10 depending on quantity of order (not available for samplers). Please request a reserved/custom listing. The Cashew Vanilla Caramels look wonderful! Thanks for the giveaway. Entered your Gift Basket giveaway. I'm a follower. The Fleur de Sel Caramels - 1/2 lb in a Wax Bag look yummy! They sell in bulk for wedding favors! i learned they make cashew caramels. mmmmm. I like that they make the candy in small batches, so it is easier to control quality. I learned they have a 12 Month Fleur de Sel Caramel Club, yum! i think these would make great wedding favors! Help The Sak Brand Give Back!!! Abbe Designs Monogrammed Lunch Tote Giveaway! Follow Me Back Tuesday - Guest Host!